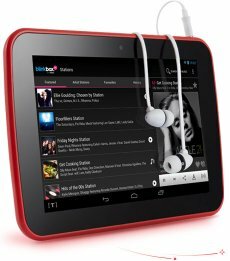 Budget tablets - worth the saving? Archos vs. Cambridge Sciences, which is the white box and which is the brand. Our own British supermarket, Tesco, has made its first foray into selling branded tablets by producing the Tesco Hudl. This is a very competitve market - so does the Hudl measure up? Well it does have the advantage that you can go and look at it and play with it in your local superstore, and you can buy it using Clubcard points. On paper, things don't look at all bad - the screen resolution is better than the Apple's current iPad Mini and its performance is better than last year's Google flagship offering, the Nexus 7. But... the iPad still retains its ultimate cool quotient, and its new model will be improving on the screen resolution. And... this year's Nexus 7 has already improved on the speed of the Hudl. The Amazon Kindle Fire HD comes at a similar price and many of the same specifications. It is strongly linked to Amazon's online shopping offerings - the books, LoveFilm... It's all at your fingertips, and for some that's a bit to close for comfort. By contrast, Tesco's online store, BlinkBox and the rest are present, but they don't obstruct the use of a fairly standard copy of the Android platform. The Galaxy Tab from Samsung - the world's number 2 in mobile things... Sadly, the launch of this year's Tab3 series has not been totally smooth, but now the 7-inch model - the one competing with the Hudl - has been discounted to make us more inclined to buy. While the story for the product overall is quite good, the fact that its screen looks a bit washed-out, in a cut-throat market like this, is probably a significant weakness. "...hard to see many people finding the Galaxy Tab 3 7.0 to be a better choice than the new Nexus 7"
7/10 no Nexus 7 2, but still a good value for money, despite screen being "a little murky and washed out."